Chairman’s Award: This award is given to honor a public figure who has assisted LifeSpring to further its goal of supporting treatment for mental illness and addictions in southern Indiana. Nominees in this category will be selected by the LifeSpring Foundation Board of Trustees. 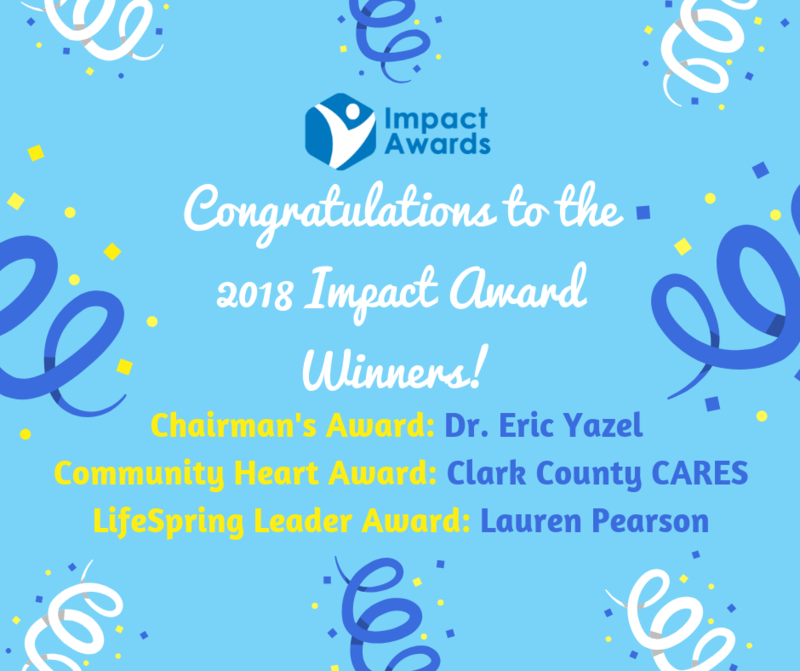 Community Heart Award: This award is presented to one person or organization who has made a positive difference or contribution in the field of behavioral healthcare or addictions treatment. Nominations will be taken for this award and voted on by the LifeSpring Foundation Board of Trustees. LifeSpring Leader Award: This award is presented to an employee of LifeSpring who demonstrates outstanding service and professionalism. Nominations will be taken for this award and voted on by the LifeSpring Foundation Board of Trustees.